Virtual ][ lets you play the old Apple games, because it supports all graphics modes, lets you control the game paddles with a USB game pad or mouse and emulates the internal speaker. 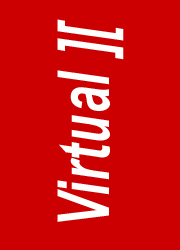 When you want to temporarily interrupt gameplay, Virtual ][ allows you to save the entire virtual machine, and continue later on from where you left off. Virtual ][ requires a Mac with OS X 10.11 "El Capitan" or better. Virtual ][ can save the state of an emulated machine, so you can continue later on. Perfect for games! The icons of the saved files are a miniature copy of the screen. To give you an idea of what Virtual ][ is capable of, here is an actual snapshot of a Finder window with saved machine files. or have a look at the Virtual ][ technical specification sheet. Disk drives can be configured with a "read only" switch. While the virtual machine runs, just flip the switch to "on" to prevent the disk from being modified. The "Make All Drives Read-Only" entry in the Quick settings menu is a shortcut to protect all mounted disks in one go, essentially making the whole virtual machine read-only. Added support for quarter-tracks on woz disk images. A game like Frogger (protected with the SpiraDisc copy protection) now runs. Improved the woz2 implementation by taking the "optimal bit timing" into account. Disks protected with Infocom's 18-sector format (such as Border Zone) now run as they should. For woz diskette images added a new Spotlight key with the woz version number. The information is shown in the Finder's Get Info window, or can be used with the mdfind command-line tool (for example: mdfind virtualii_md_wozversion == woz2). Significantly improved the screen update performance, in particular on large high-resolution (retina) screens. 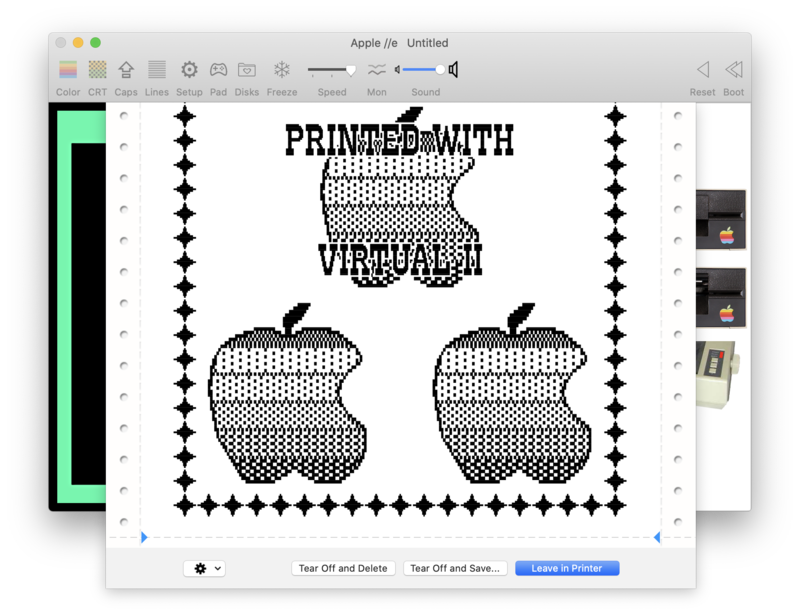 The built-in QuickLook module now takes care of drawing diskette icons in the Finder. 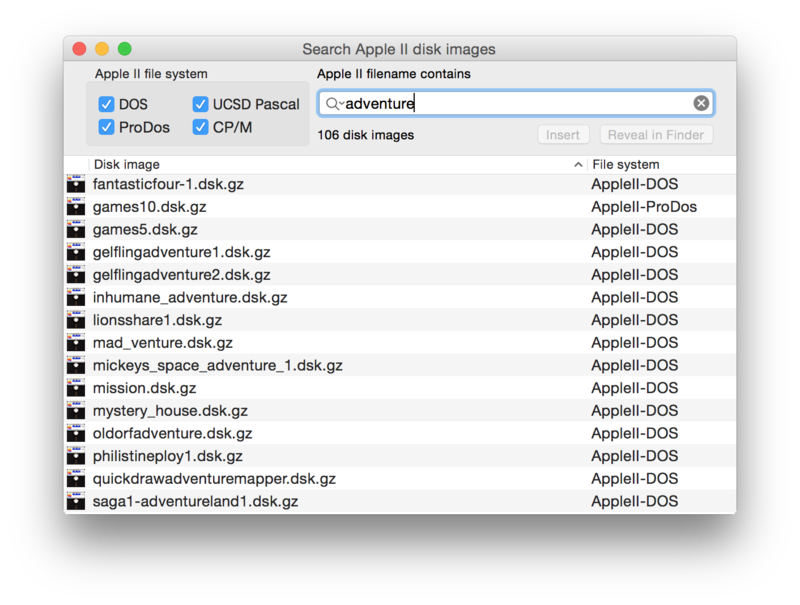 As with the diskette's QuickLook preview, the icons show labels listing the files on the disk image. Added DOS 4.x compatiblilty to the Spotlight and Diskette QuickLook modules. The application now rejects an attempt to insert a 3.5 inch diskette image (it crashed in the previous version). The application silently ignored the (very rare) case where a modified diskette cannot be saved. This oversight has been fixed; the application now shows an error message. Improved stability by solving a number of potential crashes. In macOS 10.13 (High Sierra) the Apple II screen was shown all black or sometimes semi-transparent. This has been fixed. Fixed a crash that occurred if the scanlines button was visible in the tool bar. Fixed an issue that could cause accessing a ProDOS diskette to fail; the diskette spun endlessly instead.